LAUSANNE, Switzerland — The World Baseball Softball Confederation (WBSC), the world governing body for the two sports, announced today that Eurosport 2 will be the exclusive broadcaster across Europe for the newly announced Europe versus Japan Series, where the first-ever “Europe” continental baseball team will make its historic debut in a two-game series, hosted by Nippon Professional Baseball (NPB), on 10-11 March at the 55,000-seat Tokyo Dome. 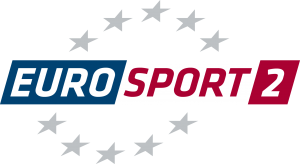 Eurosport 2, which broadcasts to 73 million households in 18 languages across 51 countries, has obtained the rights to the WBSC Europe vs. Japan Series across all broadcast platforms, including internet and mobile devices in all languages. WBSC leadership also hailed the broadcast agreement, and the continued wave of developments and growth, as highlighting baseball and softball’s universality and steadily increasing popularity across key targets, such as Europe, particularly as WBSC and its key stakeholders remain committed to and hopeful of returning the bat-and-ball sports to the Olympic Games. Following baseball and softball’s steady rise in popularity in Europe, WBSC unveiled plans in early February to establish the “Europe” branded baseball team; leading sports performance brand Asics has since become the official kit sponsor for Team Europe. Team Europe, which will be guided by Netherlands and Italy team managers, and Samurai Japan revealed their rosters earlier this week and consider the upcoming match-up in March as a key opportunity in the preparations leading to the 2015 WBSC Premier 12™, with the same Tokyo Dome set to host the Premier 12 semifinals and finals. Top ranked Japan, No. 5 Netherlands and No. 11 Italy have all qualified for the inaugural Premier 12 that will feature the Top 12 baseball nations in the world and will take place this November in Japan and Taiwan.